Osinbajo back from visit to Buhari – Royal Times of Nigeria. Acting President Yemi Osinbajo has returned to Nigeria, after visiting President Muhammadu Buhari in London on Tuesday. His media aide, Laolu Akande disclosed this on Wednesday morning. He stated that Osinbajo will preside over federal executive council (FEC) meeting at Abuja by 11 am. 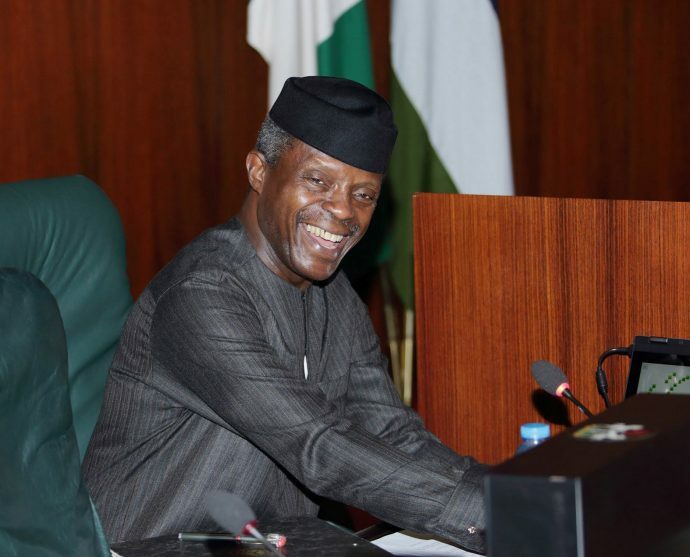 Akande said: “AgP Osinbajo now back in Abuja from London & will be presiding over FEC this morning starting @ 11am at the Council Chambers in Aso Rock,”.